DC/DC converters are designed to convert the voltage from DC power source to the single/multiple output voltages required by load devices with Galvanic Isolation and Dynamic correction. DC/DC converters are used in 220 V /110 V battery- powered systems in order to obtain low voltages of 24 V or 48 V. The converters take advantage of redundancy, to ensure a highly reliable power supply to low voltage loads, eliminating the use of back-up batteries of 24V or 48V. A single rack contains three identical DC/DC converters designed to operate in parallel. The output power of any two converters is sufficient to supply the loads. During normal operation, the load is distributed between the three converters, each of them supplying one- third of the output power. In case, if one of the converters fail, the remaining two continue to supply power to the loads. A 220V or 110 V battery in combination with the DC/DC converter provides an uninterrupted supply to the low voltage devices. They can also be used to supply high voltage loads of 220V or 110V from a 24 V or 48 V battery supply with no need for 220 V or 110 V batteries.The main benefit of these converters is to save the cost of installation and maintanence of multiple batteries. 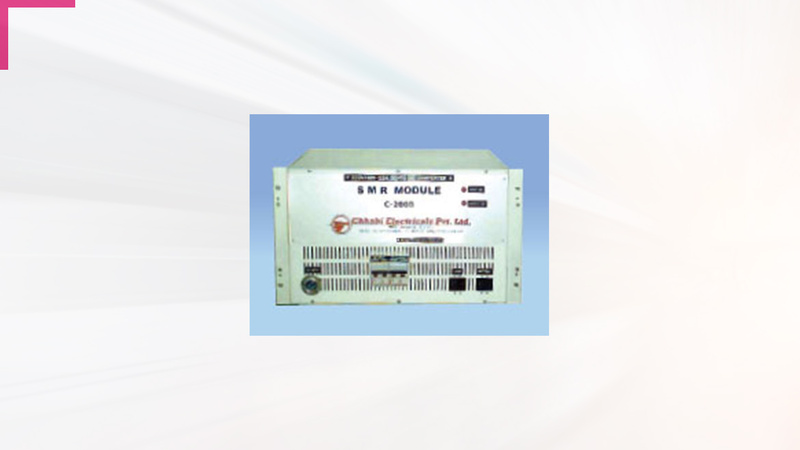 Chhabi Electricals, is India's most preferred company in the field of DC Power Solutions for the last four decades, it has been supplying variety of standard as well as customised DC Power solutions to all types of Power Stations, Power Distribution and Industrial applications.